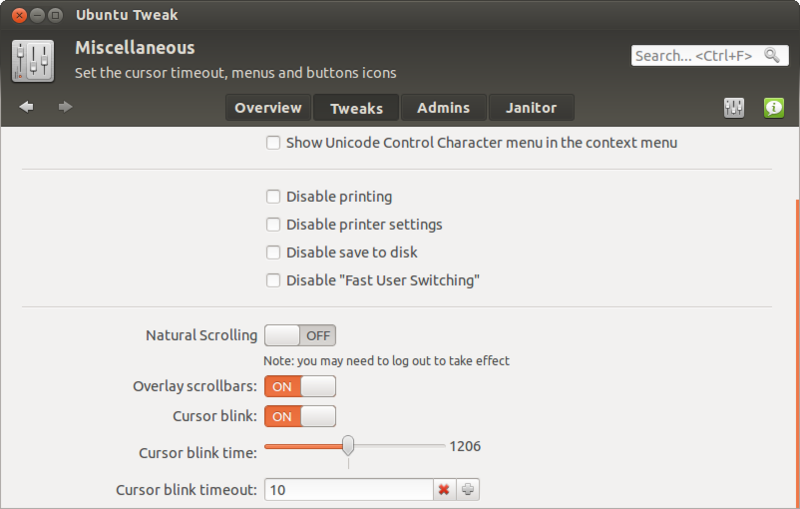 Ubuntu Tweak is an application to config Ubuntu easier for everyone.It provides many useful desktop and system options that the default desktop environment doesn't provide.With its help, you will enjoy with the experience of Ubuntu! The first feature is for Unity 2D desktop, The “Compositing Manager” makes your Unity 2D desktop with some desktop effects like drop-down shadow, window preview in Alt+Tab switcher. 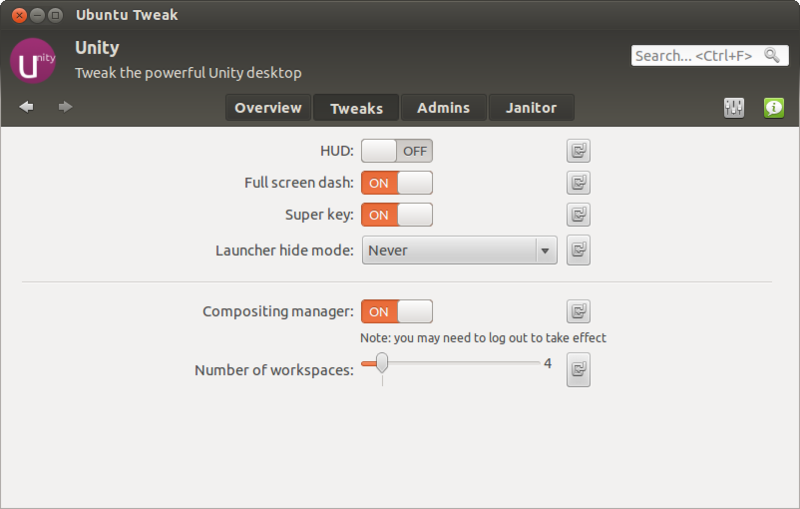 I think every Unity 2D users will like this feature. And you can use “Number of workspaces” to add or reduce the number of workspaces, if you don’t like the default number: 4. I don’t have the menu where i can change the number of workspaces, which you are showing in the first screenshot. What’s the name of this menu? Is the screen from a version which is not released yet?